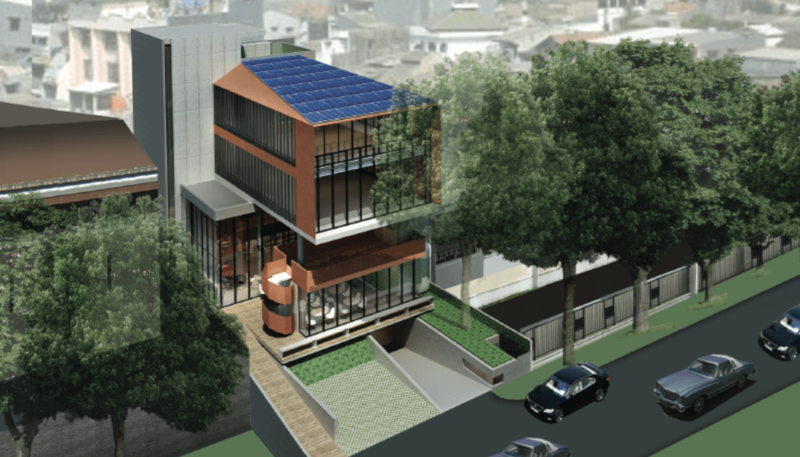 "This Indonesian Company Designed The Most Energy Efficient Building in Southeast Asia"
Synergy Efficiency Solutions was recently featured in TechInAsia as one of the leaders in energy efficiency in Southeast Asia. The full story can be accessed by clicking 'Read More' below or you can go to the original article here. The building was named the most energy efficient building in Southeast Asia last year. It also resembles a set straight out of Star Wars’ Cloud City. 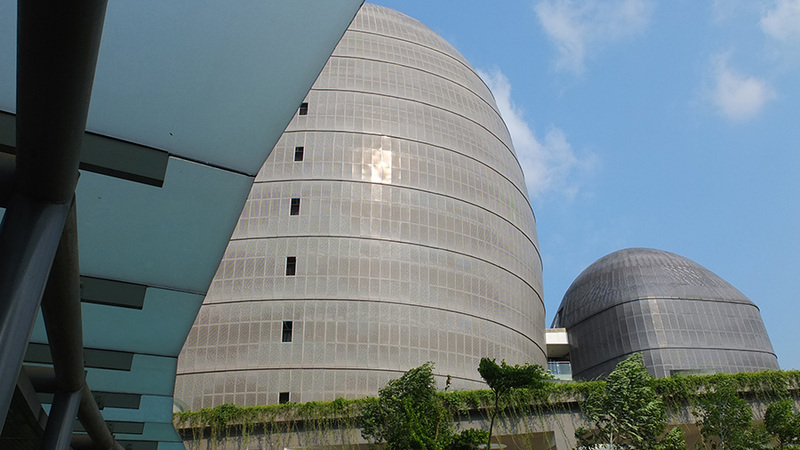 The towers are part of the Universitas Multimedia Nusantara complex, a university associated with Indonesia’s Kompas Gramedia publishing group. But this story isn’t about the startups in SkyStar’s incubation program (I’ll get to them another time). It’s about the tech company that designed the structure. Its name, Synergy Efficiency Solutions (SES), is a mouthful, but it solves a straight-forward problem. 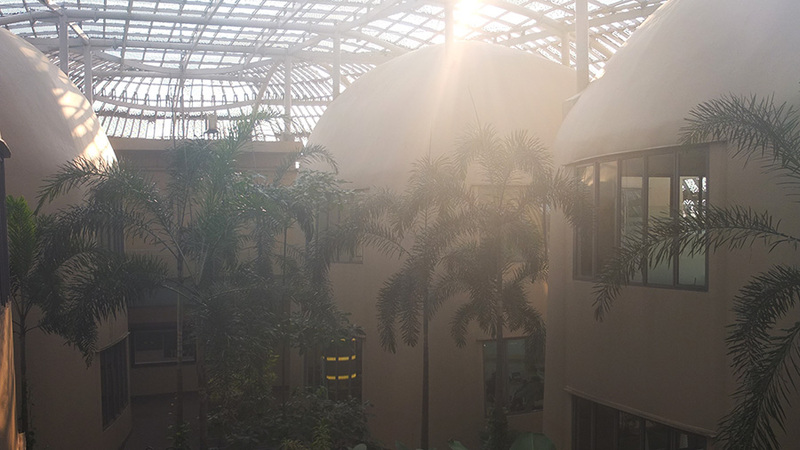 SES helps existing buildings, like hotels, hospitals, or universities save energy, and it designs new buildings with optimal energy efficiency in mind. SES was founded seven years ago by Steve Piro, a Californian who ended up settling in Indonesia after what was intended to be a one-year surf trip. At home, he studied environmental science and economics. His first job in Indonesia was as a biology teacher, but he soon found his way into the energy sector by doing carbon audits, which means assessing and quantifying a company’s total carbon dioxide emissions. “One day a client pulled me aside and said ‘we don’t really care about this carbon stuff. Just help us be more energy efficient so we can save money,’” Piro recalls. That stuck with him. He recognized the way to get companies to commit to energy efficiency is not through a cleaner environmental conscience – it’s through saving money. When this key marketing message materialized, he founded SES. The company now counts 15 employees as it upgrades and designs buildings all over Indonesia, and internationally. Piro knew saving energy wasn’t as complicated as is sounds. In Indonesia, where buildings don’t tend to be built on principles of energy efficiency, he found a lot of low hanging business fruit. “Sometimes changes as subtle as placing anti-glare film on windows can lead to noticeable savings,” he explains. Often, it’s old equipment like cooling systems, or pumps, which need replacement. SES primarily deals with hardware. It enters a building with measuring equipment and identifies and upgrades the big energy wasters. But the company also relies on sophisticated tech solutions, like 3D modelling to study energy flows, and sensors to monitor energy consumption in real time. SES’s business model is also interesting. Rather than getting paid based on work hours, it’s compensated with a percentage of money saved after the energy bill drops. Companies like SES are called energy savings companies (ESCO). The “pay-me-when-you-start-saving” business model has become known as ESCO financing. The concept, says Piro, has actually been part of the energy sector since the seventies. This is something most people probably don’t know. Basically, ESCOs are confident their tech will allow building owners to save significant amounts of money. A project for SES typically begins with an energy audit. This includes evaluating the building’s lighting and cooling systems, all motors and pumps, as well as possible energy leakages in the building’s envelope – things like materials, wall structure, windows, and entrances. The audit comes at a fixed price. SES then uses data to make recommendations. Where are simple tweaks enough, and which parts need replacement? The team calculates how much money the building operator will save if it follows through with all or some of the suggested changes. Often, the operators will shy away from upgrades that require high initial investments. This was the case in one of SES’ projects, the Adi Husada Hospital in Surabaya. At first, the hospital management only wanted to pursue changes that required no or little additional investment. Those interventions included smart load shifting – which means running equipment that consumes a lot of energy at times when the local electricity provider charges the lowest rate – usually late at night. Another measure was to paint the hospital’s roof white instead of black, and open roof vents to allow for better air flow. Those simple changes were able to cut the hospital’s energy costs by 15 percent, according to Piro. More recently, SES added a financing option that allows risk-averse clients to go further. For this, they have created an investment branch called Grinvest. The firm offers to take over investments for more complex upgrades, so the client carries no financial risk. SES knows it will get re-compensated over time, when the monthly cost savings kick in. One of Jakarta’s major five star hotels is in the process of being upgraded by SES with full ESCO financing. Piro has some neat figures to describe how much a hotel of that size can save after the upgrade is complete. He puts it this way: Over the course of ten years, the hotel’s carbon dioxide emissions will be reduced by the same amount as removing 226,000 cars from the streets of Indonesia for one year. It will save enough electricity to power 11,500 houses for one year. And it will save enough water to supply 680,000 people for one year. SES is a tech company, yet it prefers to work with off-the-shelf and open source solutions rather than developing its own proprietary tech. Another one of SES’ projects in Jakarta: A furniture showroom in the Senopati area. When SES makes upgrades to a building, it hooks up relevant parts to a monitoring system which is from then on accessible to both the client and SES. Through this dashboard, both parties can observe the building’s energy consumption in real time. It takes this type of software from companies like Siemens or Schneider, both of whom have strong presences in Indonesia. This means they are nearby in case the clients need technical support in the future. When it designs new buildings, SES relies on software called EnergyPlus developed by the US Department of Energy. It’s open source, and Piro says it’s ideal for their needs, though it takes years to master. “Ery Djunaedy, our chief scientist, has a PhD in energy simulation from [the Eindhoven University of Technology] and therefore is the man when it comes to this software. He is definitely the best in Indonesia,” Piro says. With EnergyPLus, SES creates precise 3D-models of the buildings its planning, simulating energy flows and testing reactions to all kinds of parameter changes. In Indonesia, ESCOs are still rare. Piro points to a state-owned company called Energy Management Indonesia, though the company targets large industrial clients. Then there’s Adhmora, a startup run by fresh graduates from Bandung’s Institute of Technology. Though they aim to offer ESCO financing, their main focus at this stage is to educate households on simple energy-saving measures and energy-monitoring solutions for private homes. Piro believes the market still has many opportunities. One thing he’d like to explore in the future is a crowdfunding concept. Anyone can invest into the upgrade of outdated buildings and get recompensated through a cut from the future savings."